John Walter II, the son of John Walter, the owner of The Times, was born 1776. John's father retired in 1803 and he became the new proprietor of the newspaper. He decided he wanted to run the newspaper that was independent of government control. Walter began employing young journalist who supported political reform including Henry Crabbe Robinson, Charles Lamb, William Hazlitt and Thomas Barnes. The newspaper turned away from government minister's handouts and instead developed its own news-getting organisation. John Walter also introduced new technology into The Times. In 1817 he installed a steam-powered Koenig printing machine. This increased the speed that newspapers could be printed and by the end of the year, the newspaper was selling over 7,000 copies a day. In the same year that the newspaper obtained their steam-powered printing machine, Thomas Barnes became the new editor of the newspaper. Barnes was a strong advocate on independent reporting. In 1819 he published a several articles written by John Edward Taylor and John Tyas on the Peterloo Massacre. The Times criticised the way Lord Liverpool's government was dealing with those arguing for political reform. In Parliament the Tories complained about The Times campaign. 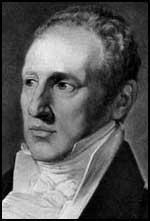 In a debate that took place in the House of Commons on 7th March, 1832, Sir Robert Peel argued that the newspaper was the "principal and most powerful advocate of Reform" in Britain. After the 1832 Reform Act was passed the newspaper called it the "greatest event of modern history." In 1834 a group of Whigs purchased control of The Morning Chronicle. John Walter II and Thomas Barnes disagreed with the way the newspaper gave "slavish support to the government". The two men had talks with the leaders of the Conservative Party and after they had agreed that they would not attempt to interfere with reforms introduced by the the government such as the 1832 Reform Act and the Tithe Act, he agreed that the newspaper would became a supporter of Sir Robert Peel and his new government. Thomas Barnes remained editor of The Times until his death on 7th May 1841. John Walter II died six years later.